Front-woman Sarah Reinke brings her old-soul vocals to the stage and studio with passionate style. Rounding out her talents on guitar and washboard, Reinke pulls you in instantly. Guitarist and vocalist, Eric Chesson delivers forceful and driving components with every lick, and offers steadfast vocals. Greg Meckley’s skillful violin and mandolin playing blends tight layers and bright sounds that solidify the band smoothly against driving guitars. Holding down the rhythm section, Gabe Fawcett and Ben Hunter provide a concrete foundation on drums and bass respectively. 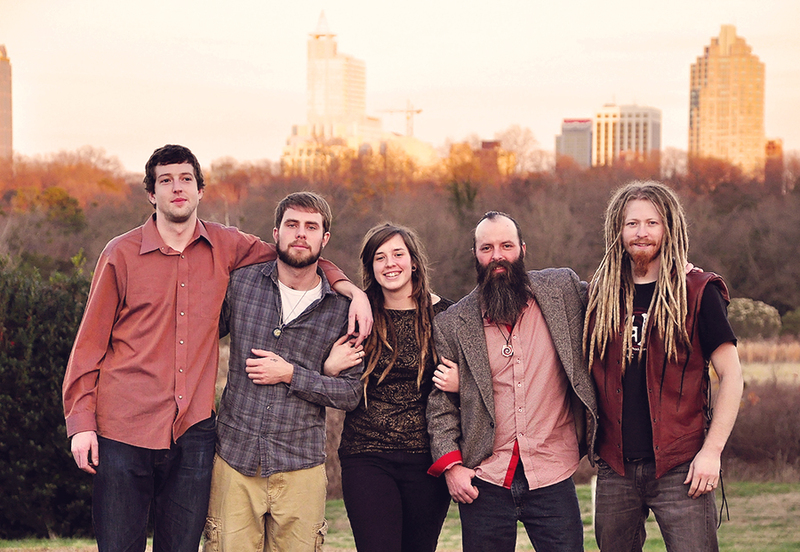 Urban Soil is a working band steadily increasing their fan base with every fiery live performance and album sale. Embracing their much-deserved success, they stand out as a band to watch among the region’s fertile hotbed of music. Urban from the city streets, and Soil from the grainy roots, this band soars into the clubs and airwaves with every component of their unwavering approach to Americana.